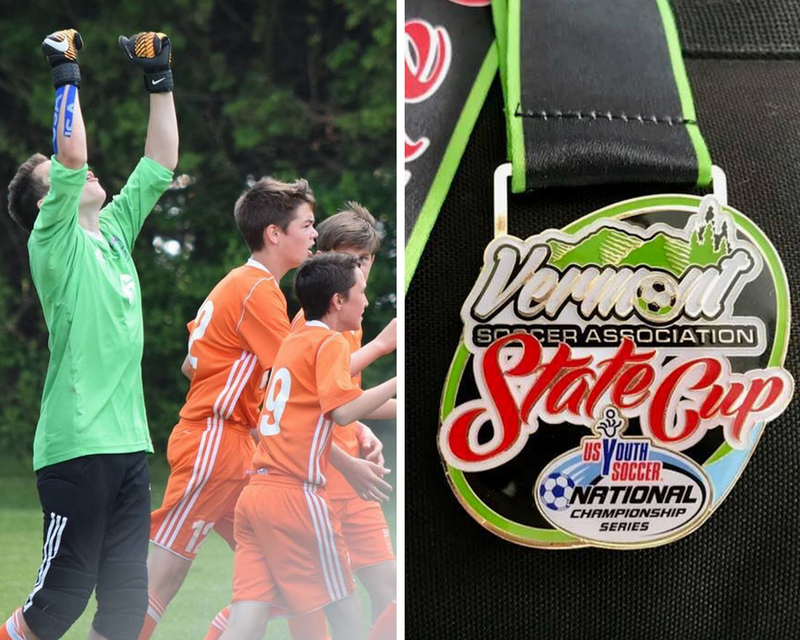 State Cup Success | Far Post Soccer Club, Inc.
June 3, 2018 - 7 FP teams conquer Vermont and earn the right to represent Vermont at the Region I Championships in Fredericksburg, VA.
Far Post took home the U12 Boys and Girls, U13 Boys and Girls, U14 Boys, U15 Girls, and U17 Boys titles on a day that was dominated by teams in orange. 2006 Boys: 2-1 winners over Nordic in their first year competiting for the cup. 2006 Girls: A resounding 7-0 victory over Black Watch saw them also win their first State Cup. 2005 Boys: Beat 2017 Champs Nordic 5-3 in a thrilling extra time match. A lot of hard work was put in by this group to get to where they are. 2005 Girls: Beat Capital 3-0 to repeat as State Champs! 2004 Boys: Reclaimed their state title with a convincing 4-1 victory over 2017 Champs Nordic. The boys went down 1-0 early and bounced back with 4 unanswered goals. 2003 Girls: Claimed their 3rd straight title with an uncontested path to Regionals. 2001 Boys: Also uncontested, this is the first time this group will head to Regionals and they are thrilled for the opportunity! Special mention to the 2004 Girls, 2003 Boys, and 2002 Girls who fell just short this year. Congrats to all teams and best of luck at Regionals!